— the latest feature that automatically connects your pictures with the world. 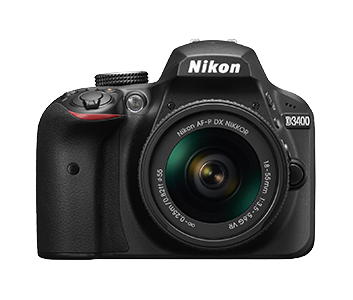 The D3400 captures every memory in stunning detail with ISO 100-25600, 24.2 megapixels, an 11-point autofocus system and features the ability to shoot Full HD 1080/60p videos. No matter the situation, whatever the occasion, the compact and lightweight D3400 is always ready to immortalise your most precious moments. Share your best shots with SnapBridge*1, a new feature that automatically downloads your images to your smart device*2 via a constant Bluetooth Low Energy (BLE) connection*3. BLE maintains constant connection with minimal energy use, so you can continue shooting and sharing without excessive battery consumption on either device. SnapBridge also allows your smart device to access the D3400 when the camera is switched off. 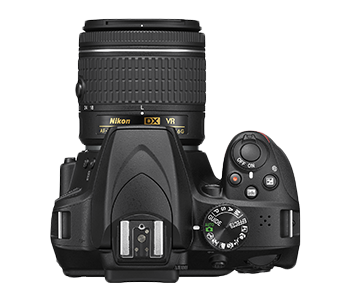 It can even automatically upload your pictures into Nikon Image Space*4.